With a new FBI director in place, at least one influential Congressman is pressing for more answers in the Boston Marathon bombings, the Boston Globe reports. 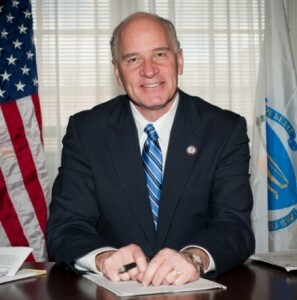 Rep. William Keating, D-Massachusetts, wants to know about blunders in the investigation, including the failure to properly follow up Russia’s warning about one of the bombers, Tamerlan Tsarnaev. “It has been three and a half months since the terror attack in Boston, and the FBI has yet to answer the pressing questions that would help law enforcement and legislators better prepare against threats in the future,” Keating wrote. Keating, a former district attorney, dismissed FBI concerns that the disclosures would compromise the case against the alleged bomber Dzhokhar Tsarnaev. Posted: 8/1/13 at 10:48 AM under FBI, News Story.